Publish your memoir or family history to leave a legacy for your children and grandchildren, or to share your story with a wider audience. Bring pleasure to readers everywhere – unleash your vision of adventure, mystery, fantasy, comedy, and romance by delving deep into fictional worlds. Foster a joy of reading in children and adolescents – help to inspire and educate them by publishing your picture book or YA fiction book. Discover how publishing a book about your industry knowledge can enhance your business profile and position you as an expert in your field. Communicate your knowledge to help others or to convey your spiritual message to enlighten the world. You’ve worked hard to write your manuscript, and now you’re ready to take the next step: transforming your hard work into a published book. But where do you start? You’re an author wanting to bring your fiction story to life, a writer motivated to share your family’s story or a business owner aiming to promote your professional expertise – you’re not a book publisher. It’s quite likely that you feel confused about what steps you need to follow to self publish your book. What happens if you’re not satisfied with how it turns out? And how will you know whether everything is on track with your book publishing project? Take the worry and stress out of self publishing by entrusting the process to a professional author services company. At Brisbane Self Publishing Service we know how to make your book the best it can be. You’ll enjoy the creative process involved in your book’s design and retain ultimate control of its publication. At the same time, you can feel confident that all of your book’s production details are being taken care of. We demystify self publishing for you by clearly explaining your publishing options: helping you to make the right choices, and guiding you through each phase of the book publishing process. Self publishing your book doesn’t mean you have to do everything yourself. At Brisbane Self Publishing Service we believe that self publishing is a team effort! So let us help you to focus on what you do best – writing your book – while we take care of the numerous other details needed to transform you into a published author. Contact us to find out how our book publication framework can help you transform your Word document into a printed book (and ebook). Let a professional editor help you to unlock the full potential of your book. At Brisbane Self Publishing Service we offer you the opportunity to review your writing via our manuscript appraisal or complete editing service. A well-designed book cover and internal pages are vital to your success as an author. 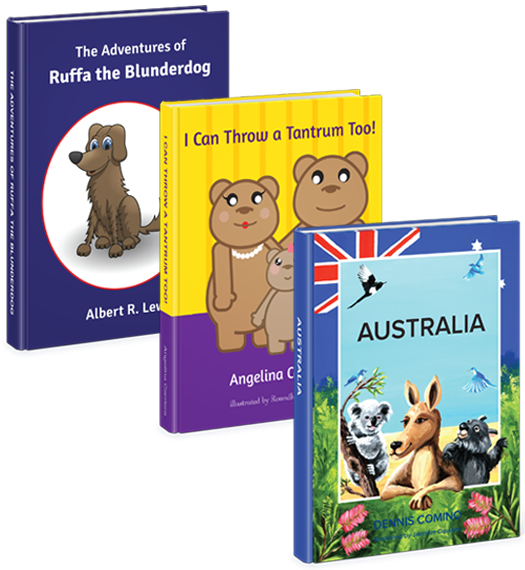 At Brisbane Self Publishing Service we design a professional-looking book cover for you and/or format the page layout design for your book. Imagine the thrill of being a published author and holding your printed book in your hands. At Brisbane Self Publishing Service we can advise you about book printing options and liaise with printers on your behalf. Keen to start your self publishing journey? Contact us today to discuss your book publishing options.